Marvel Comics is adding a killer character to its stable of antiheroes. Beginning in February, Dexter Morgan, literature and cable TV's favorite serial-killing blood-spatter expert, stars in an all-new, all-murderous tale in Marvel's five-issue Dexter miniseries penned by Jeff Lindsay, the author of Darkly Dreaming Dexter — the novel that spawned Showtime's Emmy-winning Dexter drama series. "Marvel Comics has always been a place where I felt at home. It has been a very important part of my life, and has always been a wellspring of creative and relevant ideas," says Lindsay, the writer of six Dexter novels. "I feel like I'm coming home. It is a huge thrill for me to bring Dexter into this very special pantheon." Just like in the books and TV show — starring Michael C. Hall as Miami Metro's resident secret vigilante — Dexter takes out rapists, murderers, criminals and other undesirables with extreme prejudice where he feels justice hasn't been served. An inner voice, which he calls his "Dark Passenger," fuels his desire for death, yet Dexter follows a code of conduct laid out to him by his late foster father, police officer Harry Morgan. It's a different medium but the series will stay faithful to the Dexter lore, assures Ruwan Jayatilleke, Marvel senior vice president/associate publisher and Dexter editor. 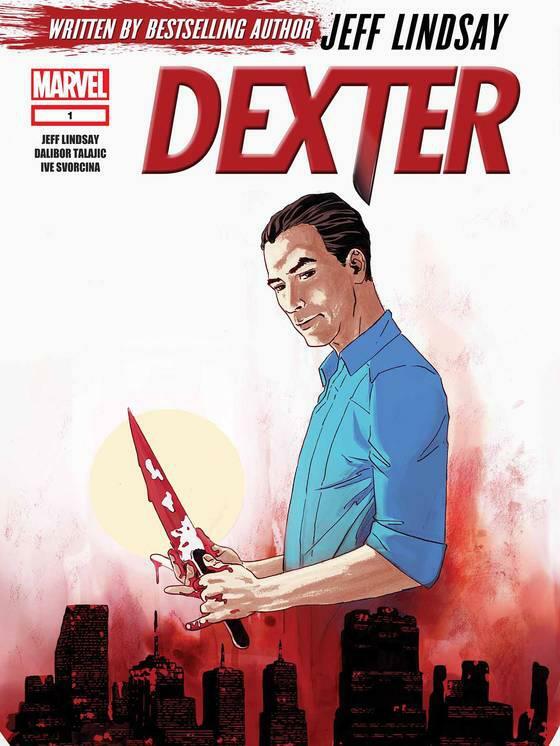 "Naturally, the comics will further 'dimensionalize' Dexter as a character and build on the equity and excitement that the books and TV show have created." After reading the Dexter novels, Jayatilleke thought that Lindsay and Marvel teaming up for comics starring "America's favorite fictional psychopath" could entertain and horrify folks. The story of a lovable, vulnerable serial killer was — and is still — very fascinating," he says. "There's nothing like a well-written antihero, and that's what Jeff does so expertly. He moves readers who are anchored in the middle from the different extremes of good and evil. "Along the way, he envelops them in well-crafted hilarity plus thrills." Having Lindsay script the comics was a no-brainer in terms of carrying over the same narrative, feel and tone from the source material, and the Dexter comic keeps the bloody good violence awash in the red stuff. It's not rated with "Parental Advisory" for nothing, Jayatilleke says. "It will be gruesomely appalling and delightful at the same time." 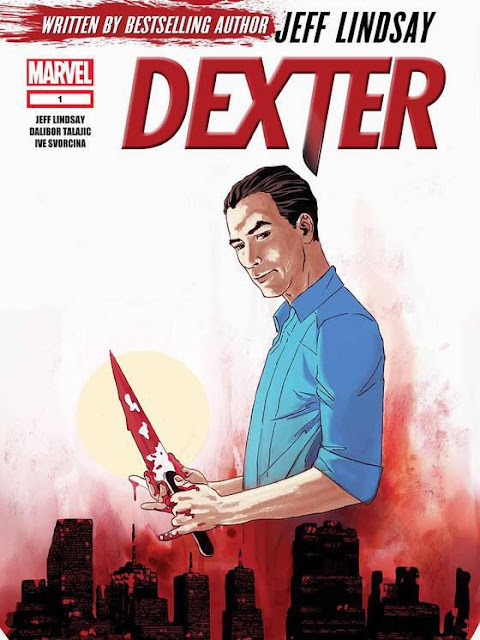 In addition to the horrifying situations, dark comedy and visual storytelling, Dexter translates well to comics because character and story always come first with the charismatic serial killer. "While everything about the character is defined, there's a lot that's left to interpretation and that's where part of the fun is," Jayatilleke says. "The other part of the fun is taking advantages of the benefits that the comics medium allows us, like having an unlimited special effects budget in each panel. "Combined with Dexter's limitless penchant for macabre good deeds, expect some explosions, shocking gore, Miami heat and humidity, strangely sticky situations and laughs."